Formlab is a forum for design exploration with emphasis placed on exploration of form in product design, furniture design, and architecture. With an emphasis on both virtual tools and physical processes, formlab is a place where ideas about form generation, and the possibilities provided by current modes of production are allowed to interact and play. We envision a series of collaborations between designers and manufacturers. 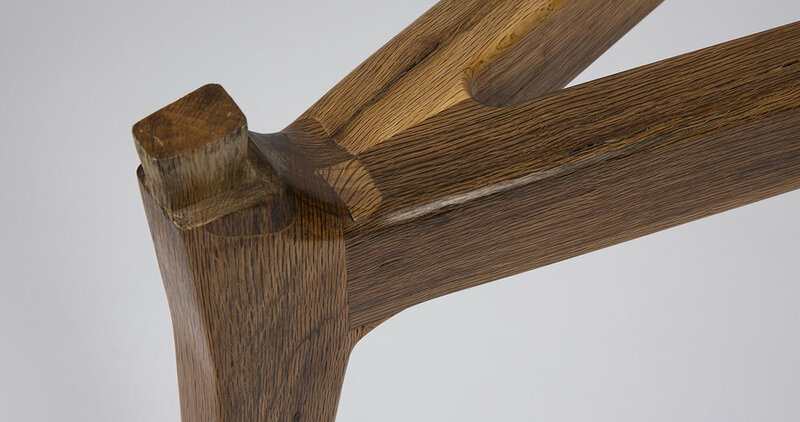 The first Formlab project is a collaboration between furniture designer and woodworker Ladislav Czernek and Chris Peck. Ladislav has been a professional designer and fabricator of innovative furniture for 20 years and his products have been showcased in New York based DESIGNLUSH's Modern Masters Series. The first design of Formlab is on the low tech end of the spectrum, with the design tools being a pen and a pencil, paper of various types and the wood itself. 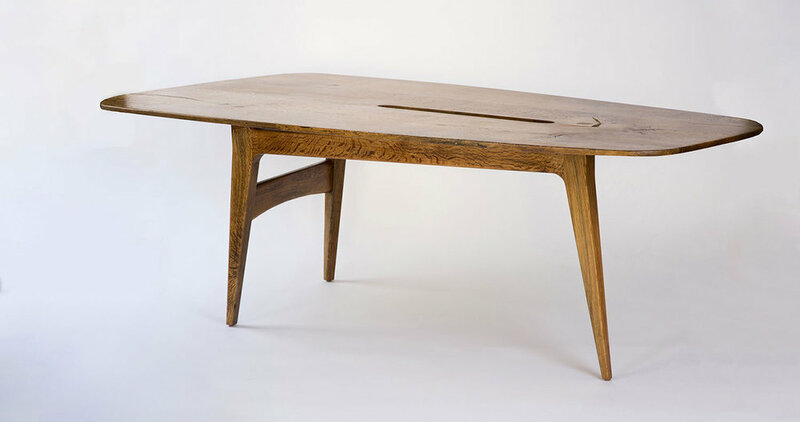 Various influences contributed to the design direction, from early colonial American farm tables to Henry Moore sculptures, to Noguchi, to Scandinavian modern. 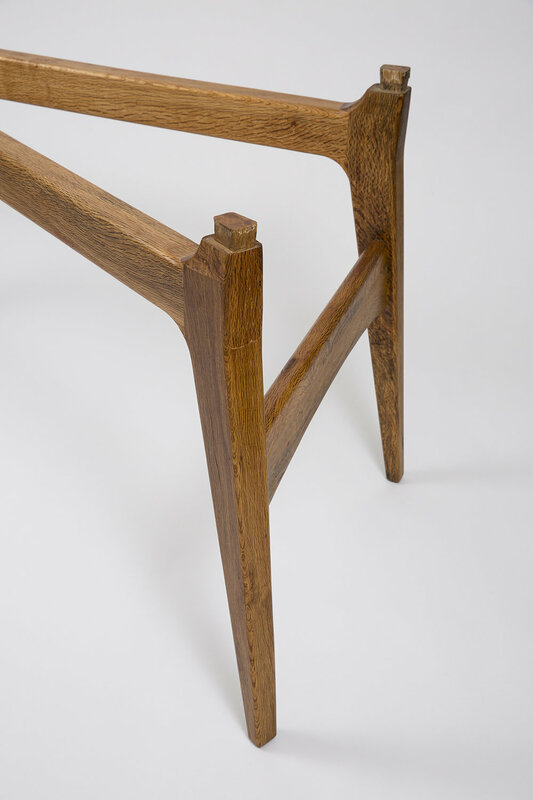 The three legged design concept originated with the plan to place the table within a space that would accept and benefit from the tapered design. The result is a table that seats seven. 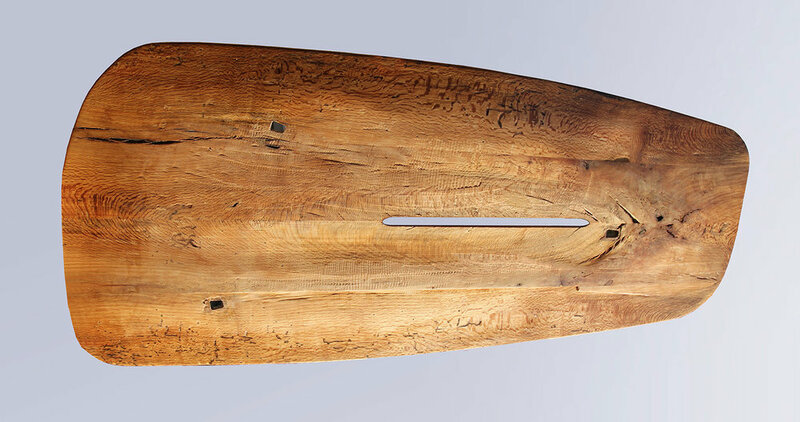 The raw materials consist of 100% air dried California Live Oak, milled in Sierra Madre by the non-profit Urban Ecology Project, which obtained the fallen street tree from the City of Pasadena. The Pasadena foothills wind storm of 2008 yielded a fine oak trunk, which had been growing in the City of Pasadena for the past 100 years. 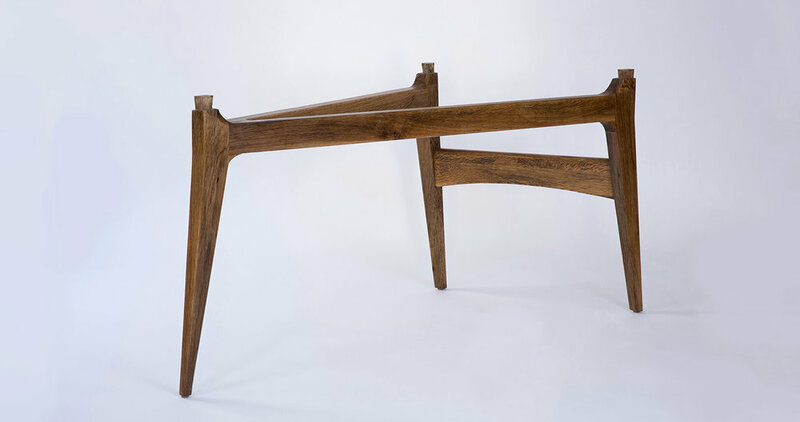 Ladislav and Chris met to discuss each next move in an iterative fashion, which allowed the form of the table to evolve in response to the shapes and character of the planks. There are traces of the process in the finished product. The underside of the table shows the wild nature of the raw material that was ripped and re-joined in 4 sections. The checks and splits are fully expressed, as are the varied and beautiful grain patterns. Below are the in progress photos of Table #2.